Let's get started. What type of vehicle do you need a month sticker for? 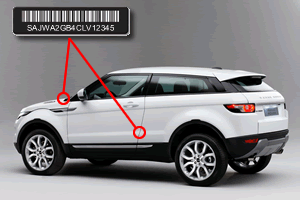 The VIN is a 17 digit identification number assigned to vehicles. To purchase replacement card and year tag click here. Download a digital CA DMV registration card instantly. You can print it or display it on your mobile device anytime. *With replacement card order only. Get DMV tags in 3 days instead of 3 weeks. We process same-day so you get your new DMV sticker & registration card fast. Overnight shipping available. No smog? No insurance? Not a problem. Avoid late fees and long DMV lines. Our system will accept your payment and post your registration fees anytime. Recently moved? Just let us know your new address. We ensure you get your sticker & registration card, guaranteed! We offer free re-shipping too. Get back on the road in no time. Our customer care team can help resolve registration suspensions, insurance issues, & tickets, right over the phone. Recent reviews from vehicle owners we've served.